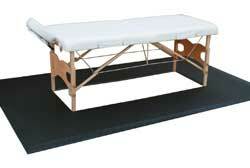 Anti-Fatigue Spa Mats surround your massage tables to pamper your masseuses while they pamper your customer. Anti-Fatigue Spa Mats are currently available in the Reflex, Rhino Hide and Sport Salon Anti-Fatigue Mat styles in double sponge thickness. Available as a modular set-up in standard sizes of 2'x4', 2'x6' and 2'x8', or as a custom single piece mat with a center cut-out for the table (as shown to the right). 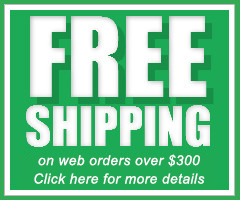 For custom single piece mats, pricing generally ranges from $2,000 to $4,000 depending on model, size, complexity, quantity and shipping cost. Please call or email for a quote. Standard Sizes: Modular: 2'x4', 2'x6' and 2'x8'. Custom single piece mats with a center cutout are available, please inquire for details.